If you’re taking no chances and fighting aging, wrinkles, dry skin and bad hair days on all fronts, then you might be using a beauty pillow. A beauty pillow’s premise is that by sleeping on the silk pillowcase or specially shaped form, you’ll (over time) minimize “sleep face”, improve your skin and hair. Generally we think of fighting the signs of aging the traditional way…with creams, serums, or even Botox and fillers. One of the issues that is hard to fight as we age are the static lines and creases that start to pop up on the face, forehead, and the lip area. These lines are formed through compression and tension that occurs during sleep. The problem is worse in side and stomach sleepers (me, on both counts). Generally these static lines can’t be helped by Botox because they’re not caused by the muscles. So what are we supposed to do? I’ve been testing silk pillowcases, as well as a couple of beauty pillows. 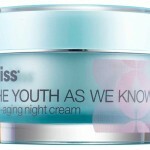 The promise is to fight wrinkles while you sleep by decreasing pressure on the skin. In the case of the pillowcases, the use of silk or copper thread technology woven in is also reported to minimize wrinkles. What I’ve found in general, is that I prefer the pillowcases, because the pillows were just not suited to the way I sleep. iluminage™ Skin Rejuvenating Pillowcase: This silk pillowcase slips over your existing pillow. The pillowcase fibers are carefully embedded with Cupron® Copper Oxide technology; copper has been clinically proven to show benefits in skin renewal. The iLuminage Skin Rejuvenating Pillowcase, when used nightly, has been clinically shown to demonstrate significant improvement of skin appearance and a reduction in the appearance of wrinkles and fine lines. It’s hard for me to tell, but in addition to being comfortable, this luxe pillowcase is beautiful. The slipsilk™ pillowcase which is made from 100% pure silk, addresses three main concerns: anti-aging, anti-sleep creasing and anti-bedhead. Yes, to all please! Unlike cotton, which draws moisture from your face, hair & scalp, slipsilk™ breathes and is a natural temperature regulator. The long fibre mulberry silk used in this pillowcase helps reduces friction on the skin and hair. Because the slipsilk™ pillowcase reduces friction, this means less tangled hair in the morning, which decreases breakage. It’s so gentle on your hair, it allows your hairstyle/blow-dry to last overnight. 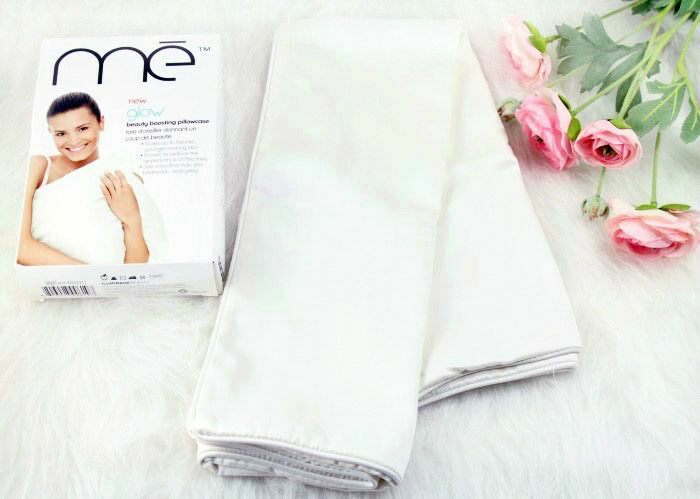 The me glow Beauty Boosting Pillowcase helps to give skin a healthy, youthful glow and smoother hair with no bedhead. This pillowcase is infused with 100% copper technology for improved radiance. 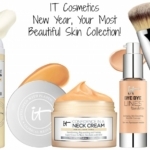 You’ll notice smoother hair the first night and glowing skin in as little as two weeks. While I can’t attribute my glowy skin to just this pillowcase, I can say that sleeping on it is a comfortable experience. 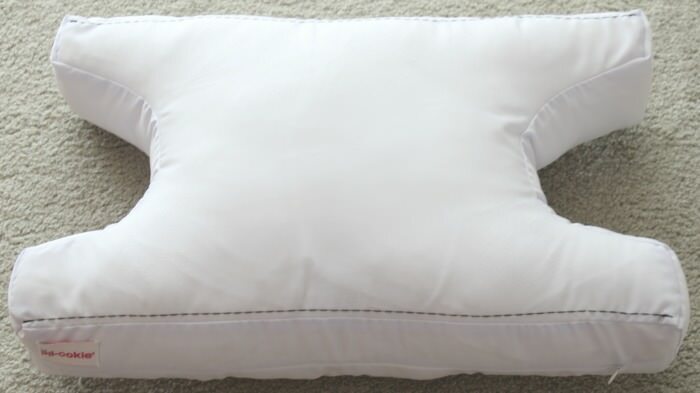 The Pil-ookie® Sleep Pillow is a uniquely shaped pillow covered in a satiny polyester fabric. It’s designed specifically to support your head so that you don’t wake up with sleep creases, or crush your eyelash extensions. There is a cutout on either side of the pillow, and that’s where you place your head. When your head is resting in the “cradle”, it doesn’t press on skin, thereby minimizing wrinkles and creases. A brilliant concept! I ordered this pillow during Anniversary Sale and SO wanted to love it, but for me, the polyester fiberfill was a little too high (I need a low pillow), making it uncomfortable to sleep on. I wish there was a smaller size, as I’d be all in. Nurse Jamie, aka Jamie Sherrill, R.N., is the creator of the The Beauty Bear Anti-Wrinkle Pillow. This pillow was designed to help train you to sleep on your back…the best position for anti-aging. 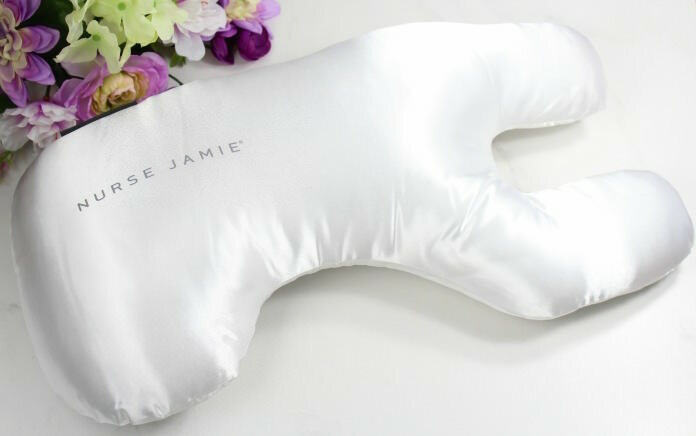 Made with the right density, custom shape and silk cover, the Beauty Bear pillow helps to protect delicate skin and helps to prevent the formation of wrinkles before they become permanent. There is also a Memory Foam pillow available. Unfortunately for me, although this was the perfect height, I couldn’t train myself to not sleep on my side. I’m not giving up on my quest to lessen the dreaded creases in my forehead. 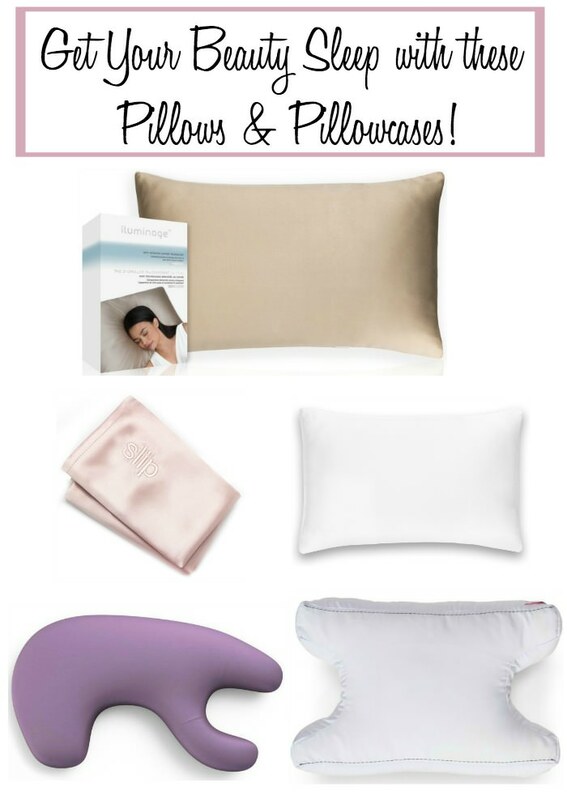 There are a couple of other pillows on my radar…the NIGHT Pillow™ and the enVy® pillow, which was created by two Registered Nurse injectors who saw a need in the aesthetic market for a “Beauty Sleep Support” pillow, look promising. Are you using a special sleep pillowcase or pillow? I’d love to know your experience! 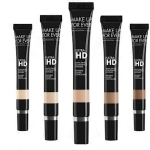 Disclosure: Some press samples have been provided for by the brand/PR for editorial consideration, product testing, photography and review. Other products I purchased myself. Affiliate links have been used in the post; see Disclosure Policy for additional information. Rodial Glamoxy Snake Serum Pen debuts on ShopNBC Holiday Beauty Day!